What is the use of robots.txt file in a website? The robotx.txt file is a complete text file used for giving instructions to the search engine spiders as to on which files it has to crawl and which files to avoid. Create a robot.txt file using any text editor and save with extension .txt. Specify the xml sitemap’s absolute path in live robots.txt file for identifying crawler or spider (boot) fast. You can give instructions to the search console (Webmaster Tool) by submitting the robots.txt file. Here user-agent: * indicates it is applicable to all search engine agents and disallows this instruction to block all files inside. 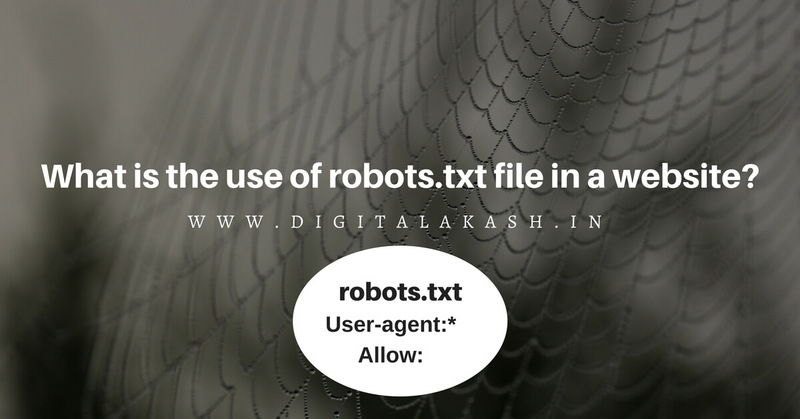 Robots.txt is a text file that is uploaded to a website’s root directory (inside public html folder). The robots.txt file contains information as to which page to index or not to index by spiders. All search engines support these extensions. Akash Tonasalli is a Digital Marketer, Web Developer, Consultant and Trainer from Bengaluru, Karnataka. What is Use of Sitemap File in Website? Akash Tonasalli is a Digital Marketing, SEO and Web Development Specialist Consultant from Bangalore, India. He is also an accomplished trainer in Digital Marketing SEO and Web Development. 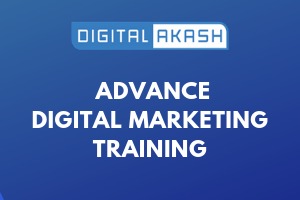 He gives much sought after Digital Marketing and SEO tips on his site DigitalAkash.in Do get in touch with him to learn more about Digital MarketingM SEO and Web Development how he can assist you.